At the start of last month I went on a short trip Vienna, Austria, for 3 days. From where I live it takes about 4 hours to drive there if the traffic is ok. 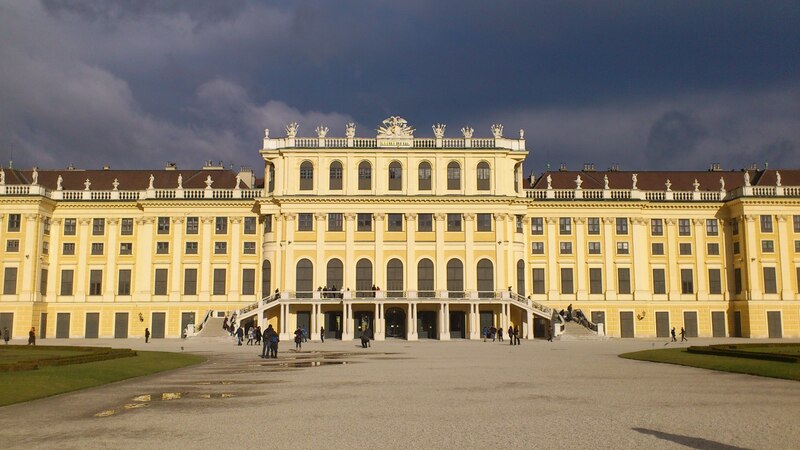 Personally I love Vienna, not only for the history but also for the grand architecture of this city. Café Corbaci – situated in Vienna’s “Museumsquartier” it’s a lovely place to stop by for a “Kaisermelange” (Coffee with cream) after visiting the most famous museums in Vienna. Especially remarkable: The ceiling! I stayed at the Downtown Meininger Franz. It’s more of a youth hostel than a hotel but it is very nicely equipped, the beds are comfy, the bathrooms are clean and modern, breakfast was nice (you have to buy it extra though!) and there is a parking garage there as well. It is also quite cheap for a hotel with that location, It takes about 15 minutes on foot to get from the hotel to the town centre. 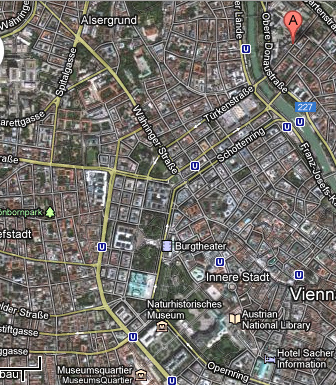 All in all, Vienna is lovely, the people are very friendly and I would highly recommend a visit if you’re in the area! Previous Recipe… Delicious German Christmas “Biscuits”: Zimtsterne (Cinnamon stars) Next Life and my Perception of it all. Float down like autumn leaves… An Autumn Outfit. Travelling Europe through the medium of Ice Cream.